TNT and Cadence13, a leading podcast media company, is revealing the NEW audio trailer for the ground-breaking eight-part podcast documentary series, Root of Evil: The True Story of the Hodel Family and the Black Dahlia, a companion to TNT’s six-episode suspense drama I Am the Night. The podcast series will premiere Wednesday, February 13 and joins Turner Podcast Network’s portfolio of podcasts available on Apple Podcasts and wherever podcasts are available. I Am the Night, from director Patty Jenkins and writer Sam Sheridan, starring Chris Pine, is slated to premiere on Monday, January 28, at 9 p.m. (ET/PT) on TNT. Root of Evil, hosted by Fauna Hodel’s daughters Yvette Gentile and Rasha Pecoraro and executive produced by Emmy® award-winner Zak Levitt, EVP of Documentary Content at Cadence13, is the Hodel family’s story in their own words, a behind-the-scenes revelation of their family’s crimes, secrets and multi-generational struggles carrying the Hodel name. Family members will open up and share their own psychological traumas and perspectives on their ties to Hollywood’s notorious Black Dahlia murder. 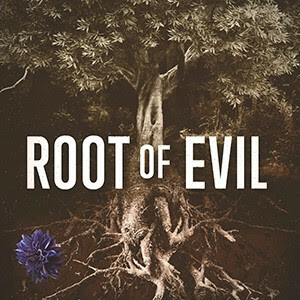 Through powerful, never before-heard archival audio, along with expansive interviews with each family member, including visits to the most important locations in this story, Root of Evil will prove how immersive the storytelling experience can be in this genre.